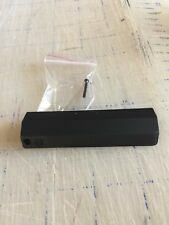 ONE END CAP LENOVO T430. 00E7600, L38552. 1 SAS Tray Caddies. 4 Caddy Mounting Screws. Corresponds to IBM Part Numbers. IBM Lenovo T430 T430i Hard Drive Caddy Cover srcew. -Hard drive, Rubber rails,and tray are not included. Note: will NOT fit T430s T430si. 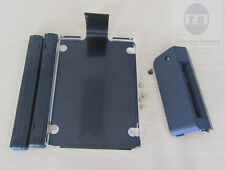 New Hard Disk Drive Cover Caddy + Screws For Lenovo IBM Thinkpad T60p T60 14"
IBM Thinkpad T60 T60P. 4 x Hard Drive Caddy Screws. 1 x Hard Drive Caddy. 1 x Hard Drive Cover. Cover Size: Standard 14". 4 out of 5 stars - New Hard Disk Drive Cover Caddy + Screws For Lenovo IBM Thinkpad T60p T60 14"
1 product rating1 product ratings - New Hard Disk Drive Cover Caddy + Screws For Lenovo IBM Thinkpad T60p T60 14"
Note: the Rubber Rails/ Caddy included are for 2.5/ 9.5mm hard drive, Will NOT fit 7mm slim hard drive. Hard drive, and connector are not included. Compatible system. Lenovo Thinkpad T430 T430i 04W6887. 1x Hard Drive Caddy(7mm). 2x Hard Drive Rubber Rails (7mm). 1x Hard Drive Cover. 5x Hard Drive Screws. International Orders When present, the manufacturer's warranty supersedes Sunstar's warranty. Not in a sealed case, but has not been used. Removed from case for pictures. IBM P/N: 44T2216. For X3650m2, X3550m2. Part Number 44T2216. IBM 2.5" SAS Hot Swap Tray for X3650 M2 M3 M4. 2.5" SAS Hot Swap Tray for X3650 M2. 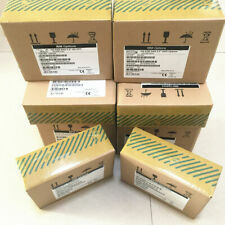 For X3650 M2 and X3550 M2. 4x Screws attached to every caddy. 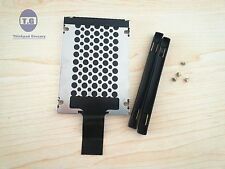 2.5" Drive Caddy Tray For IBM x3550 x3650 x3400 x3500 M2 M3 M4 HS22 HS12 44T2216. x3500 M3 (7380), x3500 M2 (7839). x3400 M3 (7378/7379), x3400 M2 (7836,4193). x3550 M3 (7944), x3550 M2 (7946). x3650 M3 (7945), x3650 M2 (7947). MPN : 35L2086. Compatibility : For use in LTO 1, 2, 3, 4, 5 and 6 Tape Drives. 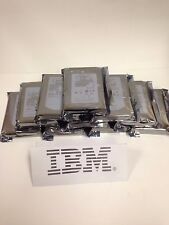 LOT OF 10 X PIECES END CAP- IBM Lenovo T430 T430i Hard Drive Caddy Cover srcew. T60 T60p T61 T61p. Cover size: 15.4" WS (widescreen). IBM Thinkpad. Trending at $3.99eBay determines this price through a machine learned model of the product's sale prices within the last 90 days. These durable drives can handle a lot of work, so you can put its heavy application workloads to the test, without fear of anything going wrong. The drive’s high performance, capacity, and reliability make it ideal for data warehousing and data mining, as well as high-performance computing. Hard drive ,Rails,and Tray are not included. Note : Will NOT fit X200 X200s X201 X201s X200T X201T. PN 84G0573. FRU 84G3577. IBM Model 8105A PCMCIA Hard Drive. 105MB Hard Drive. 1x Hard Drive Caddy(7mm). 5.10 2x Hard Drive Rubber Rails (7mm). 1x Hard Drive Cover. 5x Hard Drive Screws. Rotation speed and storage size are essential, and theIBM 00Y2684 Hard Disk Drive is the perfect addition to your system's growing storage needs. Part Number00Y2684. ConditionLike New. Form Factor2.5". 10x IBM Hard Drive Tray Caddy 25R8864 4C7423. No Screws Included. IPL Computer Center. All are in good condition. During that period, response rate might be slow. We do not accept credit cards. (1) IBM 7208 342 SCSI Tape Drive. Unit is in very good condition with light scratches and scuffs. Tested to power on, only. needed for correct operation and system functionality. Physical Condition. Note: the Rubber Rails/ Caddy included are for 2.5/ 9.5mm hard drive, Will NOT fit 7mm slim hard drive. 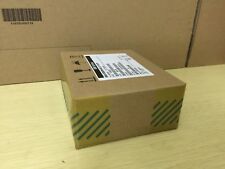 Connector,and hard drive are not included. New Page 1. 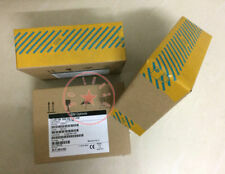 45W8286 drive, 91Y1167 is IBM Tray Part #. We are also unable to cancel orders once the unpaid item process begins. Manufacturer: IBM Part Number: 42D0778 Warranty: 6 Months Shipping: Free Fed Ex ground or USPS shipping. Trending at $17.32eBay determines this price through a machine learned model of the product's sale prices within the last 90 days. X60 X60s X61 X61t X200 X210 X1 X100e X120e X130e. Laptop Hard Drive Cover Caddy. Laptop Keyboard. 10 Hard Drive Caddy. 40 Caddy Screws. Laptop Power Jack Board. Laptop Fan. 20 Rubber Rails. Key Features. Ultra3 SCSI Interface. One Hard Drive Cover Screw. One Hard Drive Cover. 2 IBM SLR60 30/60GB data tape cartridge 19P4209 NEW sealed for SLR60 & SLR100. Condition is New. Shipped with USPS Priority Mail. Hard drive ,Rails,and Tray are not included. Will not fit T400,T410. 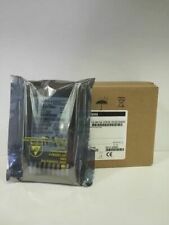 IBM 68Y7726 MICRON 512GB SATA Solid. Part # 68Y7726. Size 512GB. State Drive SSD 1.8" MTFDDAA512MAR-1K1AB. Interface SATA. Hard Drives. Form Factor 1.8. You may be interested in. Sale includes (1) IBM HD with Caddy as pictured, FRU 43W7629. God bless, Jeff & Lynne. Just professionally wiped and passed SMART testing, ready to go to work. 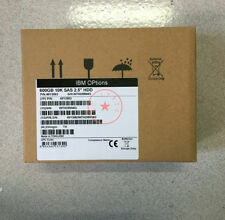 IBM Part Number: 42D0676. 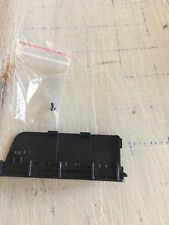 IBM FRU Part Number: 42D0673. Capacity: 73GB. Caddy Included: 2.5" xSeries M2 M3 M4 caddy included. Speed: 15K. Manufacturer: IBM. 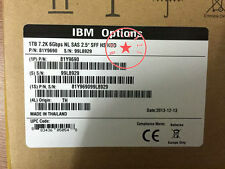 IBM Option Part Number: 42D0672. Solid State Drives. These options are calculated at checkout.